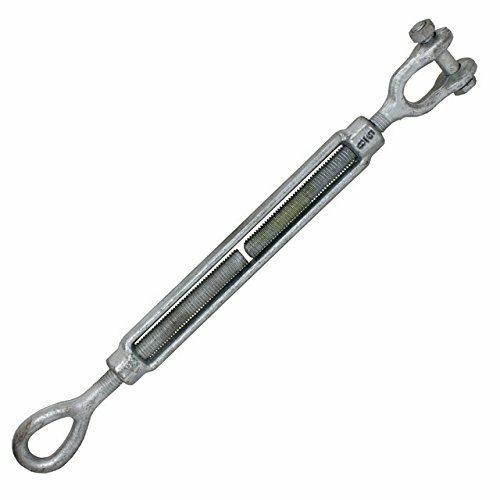 Our jaw and eye turnbuckles are hot dip galvanized for durability and weather resistance. Made for in-line or straight pull applications only, our cable turnbuckles feature a jaw on one end which is fitted with a nut & bolt or a pin & cotter pin assembly. The other end has an elongated eye to maximize ease of attachment and minimize stress on the eye. If you have any questions about this product by US Cargo Control, contact us by completing and submitting the form below. If you are looking for a specif part number, please include it with your message.